Stand out from the Crowd, and Get Noticed amid a Sea of Distractions! 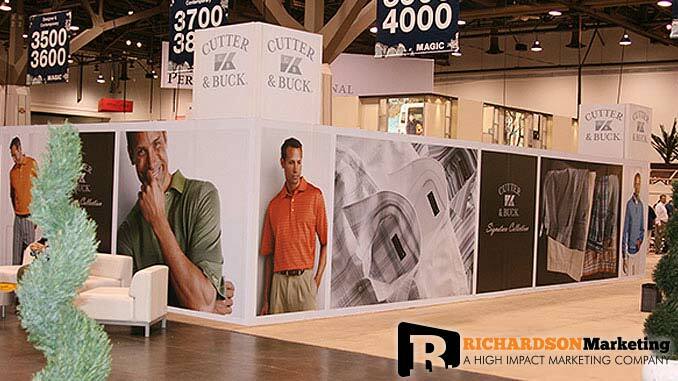 Richardson Marketing specializes in creating custom convention signs and displays that generate excitement, attract customers, and increase sales. We create custom signs and graphics to meet all your event marketing needs. We understand that success is more that just getting noticed. To reach event attendees, you need to capture their attention and engage them. Our mission is to provide our clients with everything they need to have a successful show and to supply them with high quality products and exhibits that are designed to reach their specific marketing goals. Stand out at your next Trade Show or Business event. From convention booth wraps and banners to custom displays and signs, we offer the very best in Convention signage solutions. If your business has a convention, seminar, corporate event or trade show coming up in the Las Vegas area, let us help you make the most out of your event. Richardson Marketing can help you with all your signage, marketing, and custom display needs. We can help your business successfully promote, brand, organize and execute your Las Vegas events. Would you like more information on trade show signs and displays? Call us at (702) 487-5270 to talk to one of our knowledgeable sign specialists. Our trade show marketing experts will work with you to make your event a success.